Veterans Day weekend is about somber remembrances and celebrations of thanks to honor men and women of American armed forces who have made, and continue to make, it all possible. 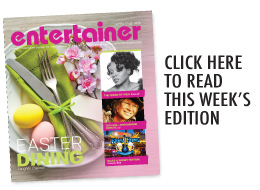 The Tropicana Laughlin is front and center in the midst of all activities this year, offering a weekend filled with reasons to appreciate freedom. Kicking things off is the return of the American Veterans Traveling Tribute (AVTT) Traveling Vietnam Memorial Wall. This nationally recognized, veteran owned and operated small business brings the wall back to Laughlin, offering area residents and visitors a chance to pay their respects to American heroes. The wall will be escorted from the Laughlin American Legion Post 60 to the Tropicana on Wednesday, Nov. 8. An opening ceremony that includes a brief welcome address by Tropicana Laughlin General Manager Rick Yuhas takes place at 3:15 p.m. Wednesday in the North Parking Lot, where the Vietnam Wall will be installed for viewing. Once the AVTT Traveling Vietnam Memorial Wall has been installed, it will be available for viewing Thursday, Nov. 8 and it will remain in place through Veterans Day, Sunday, Nov. 11. “The AVTT honors the many thousands of men and women who served during the Vietnam War,” Yuhas said. “The Wall serves as a solemn reminder that we should never ever forget our past and present men and women of the United States armed forces who put their lives on the line for all of us. 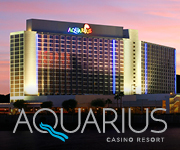 “Tropicana Laughlin is truly honored to welcome and host the AVTT,” he added. Viewing is free to the public and the area will be open 24 hours, with the area monitored by security. AVTT prides itself on the support of our Armed Forces and continues their mission of honor, respect, remembrance for America’s fallen and serving men and women in uniform. Additionally, AVTT allows those without the means or ability to travel to national memorial sites to pay respect and share in the experience of honoring American heroes. 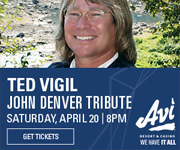 AVTT has been a part of more than 300 events across America over the last eight years. Then on Saturday, Nov. 10, the Men of Fire Motorcycle Club, Chapter 6 Northwest Arizona, along with U.S. Military Vets Motorcycle Club, will host the 4th annual Run for the Fund Charity Poker Run in the Tropicana’s valet area. Registration begins at 8 a.m., last rider out by 11 a.m. Entry fee is $30, passengers $10. The U.S. Military Vets Wild West Chapter participating in the poker run is based out of Phoenix. Men of Fire is comprised of active and retired firefighters, with chapters in California, Arizona, Nevada, Washington, Virginia, Illinois, Canada and beyond. To show their appreciation and respect, these guys organize events a couple of times a year specifically for veterans. Both groups will use their connections with other club chapters to make the event a success. “In addition to our chapter, there are Men of Fire chapters in all of the states and I know a bunch of the guys,” Granath added. The group expects the event to grow year over year. The event has come a long way since the group started it. The area chapter was originally approached by the Tropicana to come up with an event for veterans. Event stops have been planned to commemorate the holiday. He “guestimated” participants for this run could number between 80 and 100 or more. He said the property has been supportive of their efforts, but then the property has a long history of supporting veterans, long before the name change to the Tropicana. A former veterans museum was housed for years in what is now the Pavilion Theater. “The Tropicana is a great sponsor for us, and they’re really pro-veterans,” Granath added. The entry fee for the poker run is $30, which includes a T-shirt, a coin, and a $10 food voucher at the Trop. The passenger entry fee is $10 and includes a $10 food voucher. Men of Fire and U.S. Military Vets will host a raffle Saturday afternoon (3 p.m.-5 p.m.) in Victory Plaza, which is also when the Tropicana serves its Down Home BBQ. Food prices are posted. Raffle tickets may be purchased during that time for a chance to win prizes. Live music will be performed by Shotgun Jefferson Friday-Saturday, Nov. 9-10 (8 p.m.-1 p.m.) and Sunday, Nov. 11 (7 p.m.-11 p.m.). He said there is no set goal, that all the money collected is appreciated. 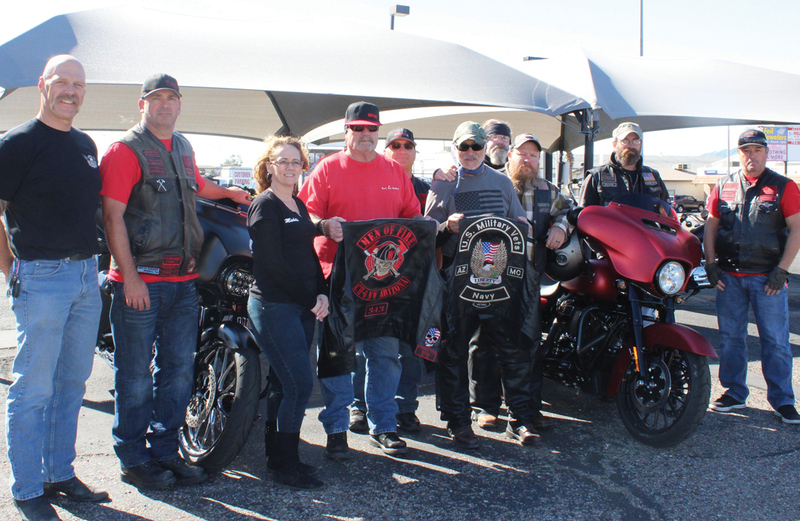 Helping their cause are Russ Brown Motorcycle Attorneys and Eagle Motorcycles in Bullhead City. On Veterans Day, Sunday, Nov. 11, the Tropicana hosts a Veterans Day Pig Roast dinner served in Victory Plaza (4 p.m.-7 p.m.). The meal includes roast pig, flame-broiled corn on the cob, coleslaw, corn muffins, strawberry shortcake and choice of bottled water or soda for $14.99 per person. Trop Advantage Veteran cardholders and one guest receive a free pig roast dinner. Must have a valid Trop Advantage Veterans Card and swipe at casino kiosk for dining redemption voucher by 6:30 p.m. The Mohave High School Air Force ROTC drill team will perform for the fourth consecutive year during the dinner. “We’ll have four, possibly five people there on Veterans Day,” said Major Earl W. Davis, senior aerospace science instructor. “We also will have a four-person performance. Of those four, they’ll break down and do a two-person performance, and a couple bits of spinning as well. “When you add it up, it’s really not that long, probably seven or eight minutes worth of stuff, but we’ll talk it up a little bit in between, about 20 minutes or so,” he said. A lot of practice goes into that seven or eight minutes. “There’s a lot of blood, sweat and tears that go into that. Emphasis on the tears and blood,” he said. “They hit themselves in the head, the hands, everywhere with these rifles when they’re trying to learn new spins. The students use non-firing exact replicas of the 1901 Springfield rifle that the Army used to carry 117 years ago. “It takes practice,” Davis added. “It’s a muscle memory, perishable skill kind of thing, and you’ve gotta stay in practice just to make everything look good. “I remind them of that, too. I tell them, ‘when you guys are out there, they don’t see you, they just see the blue uniforms and they see military, so you have to be precise. There is an expectation every time you go out there. Every time you go out there, it has to be perfect.